Lockwood Dexter Street (Dexter,) devoted husband, father, grandfather and brother, died on March 26, 2019, in Hingham, Massachusetts. He was 85. Dexter is survived by his wife Marcia Larson Street of Hingham, MA; children William Lockwood Street, of Weymouth, MA, Jennifer Lynne Street (Kyle Erlandsen) of Newton, MA, Richard Larson (Mara Sales) Street of Sandy Hook, CT; grandsons Erik, Alex and Jack Street, Anders and Lockwood Erlandsen; sister Virginia Street (Roger) Hanson, of Hyde Park, NY. He was predeceased by his sister Kathryn Street Winship. Dexter was born on March 17, 1934 in Petersburg, VA, the son of Lockwood Northcott Street and Marion Dexter Street. He graduated from Petersburg High School in 1951. He enrolled at Duke University where he was an honors student in political science, a member of Sigma Alpha Epsilon and played on the Duke Lacrosse team which, in 1954, won the first ACC men’s lacrosse championship. Following graduation from Duke in 1955, he served two years in the U.S. Army, working as an information specialist based in Würzburg, Germany. In 1957, Dexter met Marcy Larson. They were married on April 1, 1961 in Louisville, Kentucky. That same month, Dexter began a 35-year career as a production administrator at the Reader’s Digest, in Pleasantville, NY. His responsibilities throughout the years included the production of “Condensed Books,” “Great Biographies,” “World’s Best Reading,” and educational games for children. Dexter and Marcy lived in Woodside, Long Island and Tarrytown, NY before building a home in 1964 in Ridgefield, CT, the town in which they raised their family. Dexter was active in the Ridgefield community. 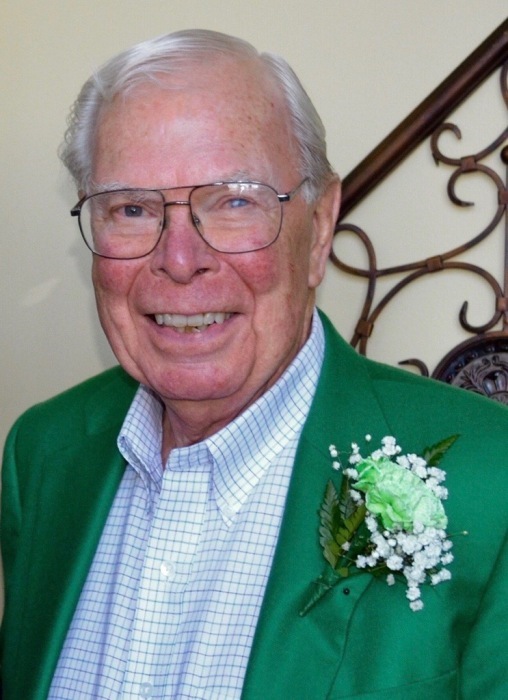 He was a charter member of the Ridgefield Workshop for Performing Arts, serving on its Board and as president. Dexter held lead roles in several area plays, including “Come Blow Your Horn,” “Mary, Mary,” and “The Caine Mutiny Court Martial.” An avid reader and history enthusiast, he was co-chair, director, and actor in the 1967 re-enactment of the Revolutionary War Battle of Ridgefield. Throughout their childhood, Dexter helped his sons with cub scouts and boy scouts, and supported his children’s many activities, including basketball, football, acting, skiing and sailing. In 1977, Dexter was elected to the Ridgefield Board of Education, where he served for six years. Education was important to Dexter and he was enormously proud of his children’s success in high school and their respective colleges. Once their youngest child had gone to college, Dexter and Marcy invited a high school student, Johan Lokind from Stockholm, Sweden, to live with them for a year. Johan greatly enjoyed his time in Ridgefield as a member of the Street family and the two families continue to remain close. Dexter was very pleased to welcome Richard’s wife Mara to the family in 1994 and later, in 2001, Jennifer’s husband Kyle. In the years that followed, he became “Poppa” to his five grandsons, and as with his own children, he proudly monitored their academic and athletic success. One of the family’s true joys was spending summers together in Shore Acres, New Jersey, first in a small cottage, then later in the bay front home that Dexter and Marcy designed together. Dexter always enjoyed swimming in the ocean with his children, nephews and nieces. Dexter was a member of the Shore Acres Yacht Club, and served on the club’s Board of Trustees and many committees. He loved to entertain his family and friends at the Shore, whether boating or just relaxing on his deck while watching the sunset over Barnegat Bay. During winter months, Dexter and Marcy enjoyed relaxing in Longboat Key, Florida. In 2006, Dexter and Marcy moved to Scituate, MA, where they embraced a second retirement, making many new friends and enjoying their children and grandchildren who loved to visit there. He was a member of House of Prayer Lutheran Church in Hingham. In 2017, Dexter and Marcy moved to Linden Ponds retirement community, also in Hingham. Despite more than a dozen years living in Massachusetts, Dexter never gave up his love of the New York Yankees or the Duke basketball and lacrosse teams. A visiting hour will be held from 10:00AM–11:00AM on Saturday, March 30 at House of Prayer Lutheran Church, 916 Main Street, Hingham, Massachusetts, 02043. A funeral service will follow immediately, at 11:00AM. A burial service will be held on Monday, April 1 at 1:00PM at St. Mary’s Cemetery in Ridgefield, Connecticut. In lieu of flowers, contributions in Dexter’s memory may be made to the Norwell VNA and Hospice, 120 Longwater Drive, Norwell, MA, 02061; House of Prayer Lutheran Church in Hingham; or Shore Acres Yacht Club Hurricane Sandy Rebuild Fund, P.O. Box 4337, Brick, NJ, 08723.